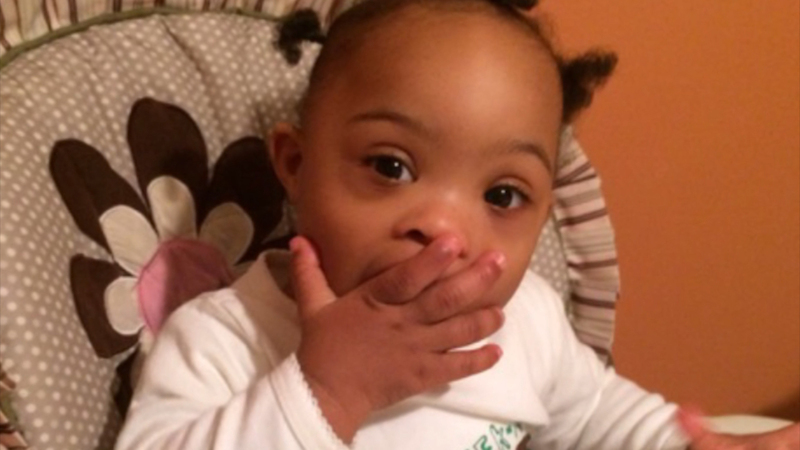 Little Madison Mason was born with Down syndrome and a heart condition that required open heart surgery. "I was devastated. It was overwhelming," her mother Tiffanie Mason told CBS News. The surgery typically requires a blood transfusion, but that was against the family's religious beliefs as Jehovah's Witnesses. "We want the best treatment possible for her, just without blood. So then we had to look at other avenues," Mason said. Madison's doctors at Englewood Hospital in New Jersey agreed to perform the operation without a blood transfusion -- something they had never done in someone so young. Instead, they gave her natural hormones and iron infusions to boost her own red blood cells. "We were really able to bring her blood count up so that she was strong enough to sustain some blood loss during the procedure without need a transfusion," said Dr. Elizabeth Carlin, Chief of Pediatrics at Englewood Hospital. Though bloodless surgery was originally developed to accommodate patients with religious concerns -- like Madison -- the medical community is now exploring whether the procedure could benefit other patients as well. Blood transfusions come with risks, including the potential for allergic reactions and blood-borne infections, so more doctors are considering bloodless medicine for all kinds of procedures. "There are all of these things we can do to make patients healthier, again to reduce the amount of blood they lost, to make surgery safer. And these patients actually did better," said Dr. Sherri Ozawa, Clinical Director of the Institute for Patient Blood Management and Bloodless Surgery and Medicine at Englewood Hospital. Some research supports the use of bloodless surgery, too. A 2012 study published in the Archives of Internal Medicine found that Jehovah's Witnesses who refuse blood transfusions after cardiac surgery are at no greater risk than people who had transfusions. The research also found that Witnesses who underwent bloodless surgeries spent less time in the intensive care unit and less time in the hospital when compared to patients who had transfusions. They also had a higher survival rate at 95 percent, compared to the other group at 89 percent. According to the University of Pennsylvania's Center for Bloodless Medicine and Surgery, blood-management programs also help hospitals reduce unnecessary blood draws and the costs associated with acquiring and storing blood. Experts at Englewood Hospital say bloodless surgery should be considered for any type of operation that has been traditionally associated with transfusions, including hysterectomies, breast surgeries, joint replacements, spinal surgery brain surgery and heart surgery. As for Madison, she made a full recovery and was back home in four days. "She came out of surgery and when she saw me her face lit up and she was trying to get up," her mom said. The family believes because they stayed true to their convictions, Madison received the best care and outcome possible.